Whether you need to lift a bus, fleet vehicle, or fire truck, BendPak’s PCL-16HD lift system is designed to meet your needs. 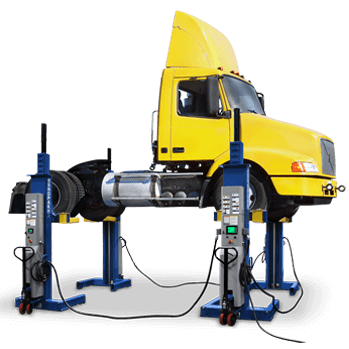 This super-duty portable column lift system has a combined lifting capacity of 99,000 lbs. and takes just over one minute to reach the maximum lifting height of 67”. Open-Center 9,000‐pound capacity low‐rise, open center pit lift for auto‐maintenance-servicing passenger cars, SUV’s and light trucks. The open‐center design allows full unobstructed access to the underside of the car. Great for oil change bays. This full open center design, both top and bottom, makes the P9000 convenient and productive. Choose the model P9000F for a flush mount version. Quatra™ series lifts by BendPak™ is the next evolution in industrial strength lifting technology. 12,000-pounds of true vertical lifting power for a more compact footprint to better accommodate smaller service bays and work areas. At the same time, the unique quad-opposing scissors design eliminates restrictive arm structures found on other scissors, giving the technician an unprecedented freedom of movement beneath the hoist. The XR-12000 provides you full, unobstructed vehicle access and effortless workspace entry and exit. More space means more freedom and efficiency than you thought possible beneath a car hoist. 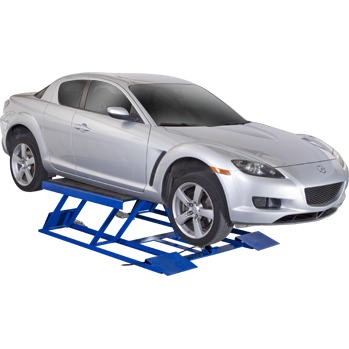 You haven’t experienced state-of-the-art portable lifting convenience until you’ve used the BendPak MD-6XP mid-rise scissor lift. This 6,000-lb. 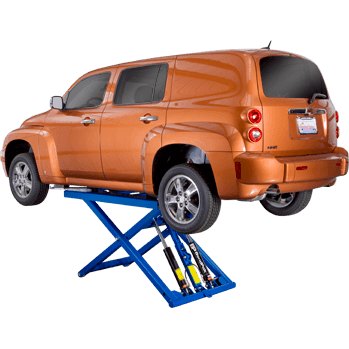 capable car lift comes loaded with adjustable arm assemblies, a safety lock bar with multiple lock positions and a free set of truck adapters. 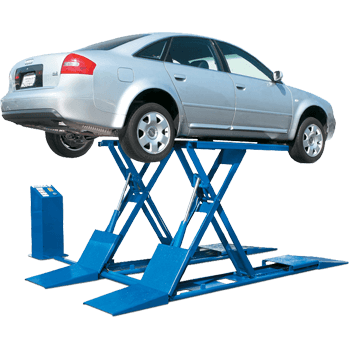 Let the MD-6XP car lift take your service capabilities to new heights. You haven't experienced state-of-the-art compact lifting convenience until you've used the BendPak SP-7X. This 7,000-lb. 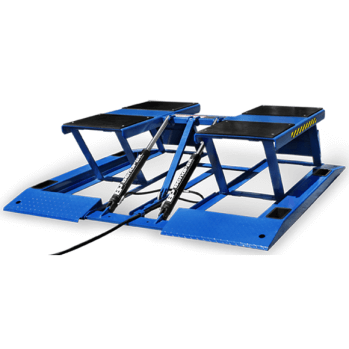 capable lift comes loaded with an extendible, pull-out top lift platform, equalization torsion bar, hardened pivot pins, dual hydraulic cylinders and ergonomic controls. Let the SP-7X take those vehicles, and your bottom line, to new heights. BendPak LR-4A optional arm kit available. This super-duty portable lift system has a 18,000-lb. capacity all on its own. When you put six of them together, they are capable of pushing an incredible 108,000-lbs. worth of metal to a serviceable height of 71-1/2”. 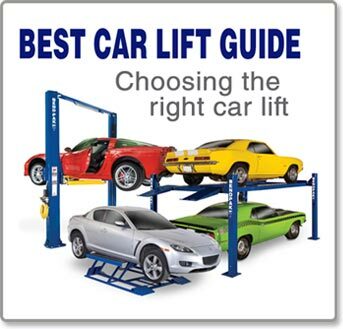 Specialty Lifts / Mid-Rise, Low-Rise, Portable Column Lifts and more. Why try to force something to adapt to your needs when you can have the genuine article? 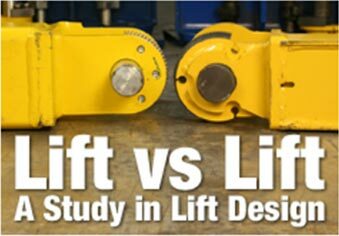 Special lifting jobs require special hoists/lifts—it's really that simple. 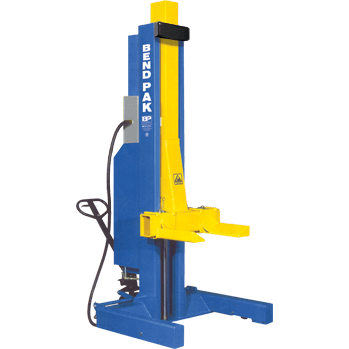 BendPak offers a solid line of project-specific vehicle hoists in order to ensure you always have the right equipment for the job, whether it's in your shop, garage or carport. A specialty hoist for every special job. Which one suits yours? 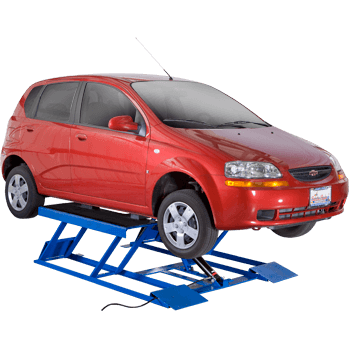 Our low-rise scissor lifts and mid-rise scissor lifts are perfect for dedicated auto-enthusiasts and service professionals looking to expand their capabilities. These superior designs are simple, safe, rugged and engineered to save you space. If you're looking for lifting power on the go, consider our portable models: the LR-60P Portable Low-Rise Lift and the MD-6XP Portable Mid-Rise Lift. Easily move your lift from bay to bay. BendPak also makes a specialty turf lift for servicing mowers, sprayers, utility vehicles, sand groomers, golf carts and other maintenance vehicles. If your business employs or repairs these vehicles, then be sure to check out the XPR-7TR 7,000-lb. Capacity 2-Post Turf Lift. 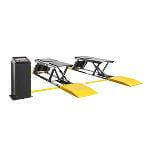 But if you need the absolute heaviest truck lifter we make, look no further than the PCL-16HD Portable Column Lift. These massive hydraulic systems are capable of lifting up to 16,500 pounds per post. And in a six-post configuration, the PCL-16HD Portable Column Lift can raise an astonishing 99,000 pounds! Whatever your lifting puzzle, BendPak always has your lifting solution. Though you may be able to find similar equipment from another manufacturer, don't be fooled. Only the BendPak name carries just as much weight as the lift it's on. 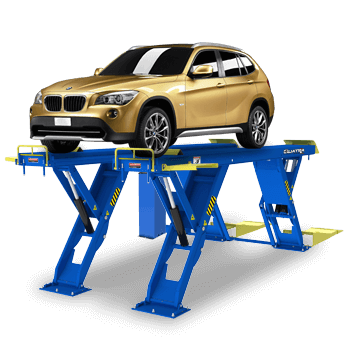 View our full Wrenchers Warehouse offering of BendPak car lift products!